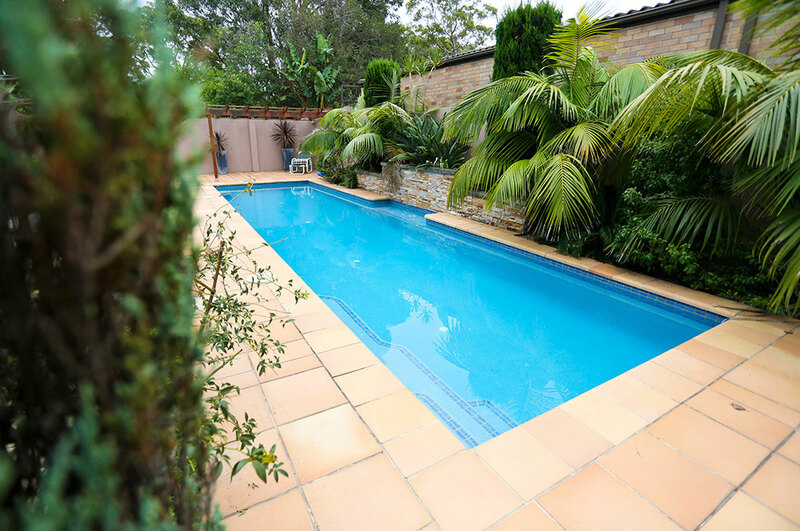 This beautiful solar heated swimming pool offers year-round swimming enjoyment: both summertime relaxation and rejuvenating winter dips. 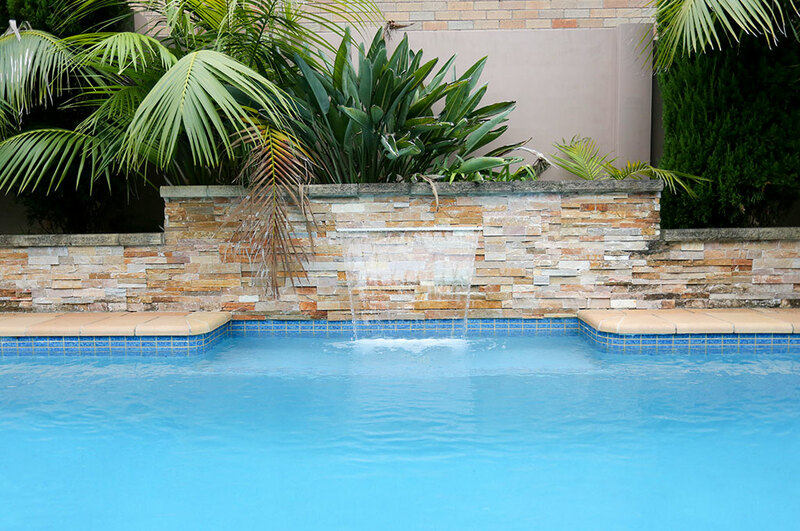 With an innovative design and quality finishes, the pool incorporates a sheer descent water feature, stacker stone feature wall and blue pebbled interior that shimmers the water to brilliant effect. 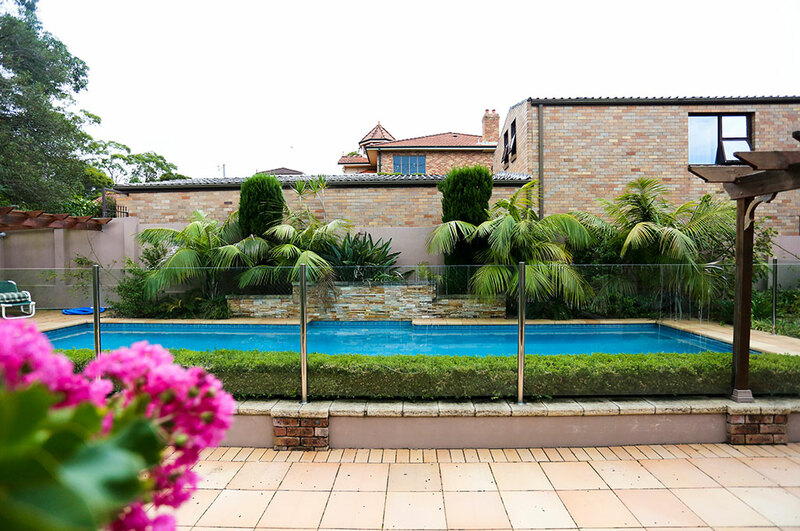 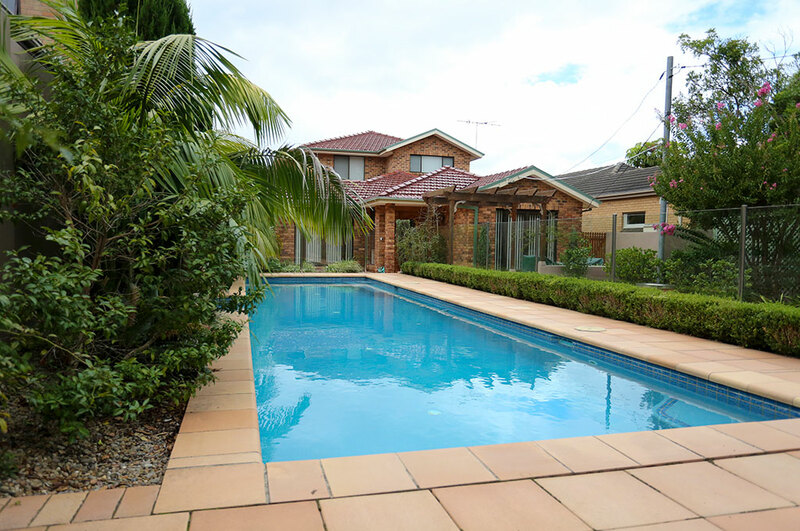 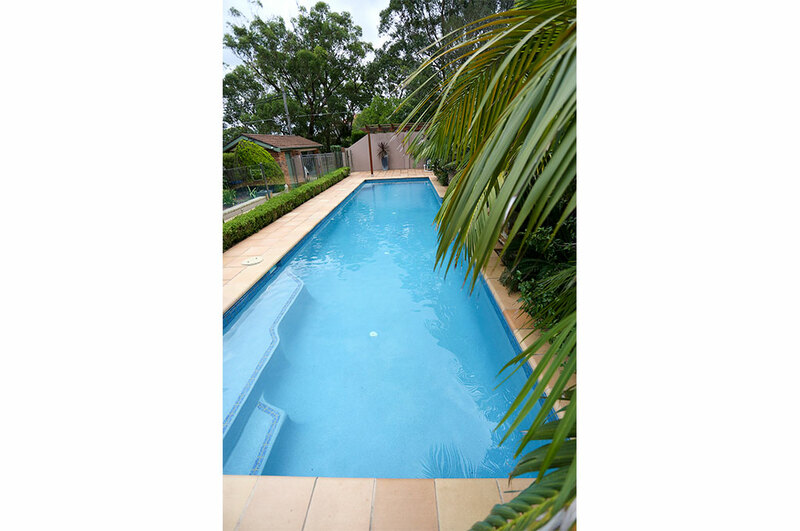 Ideally positioned in the front yard, the pool was designed in conjunction with a landscaper to complement the style of the property and garden. 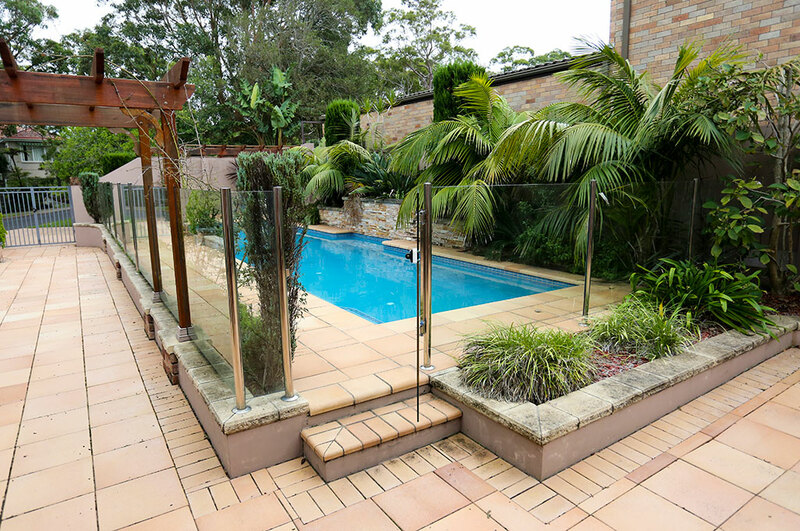 A walkway and deck area offers plenty of space for relaxing and sunbathing. 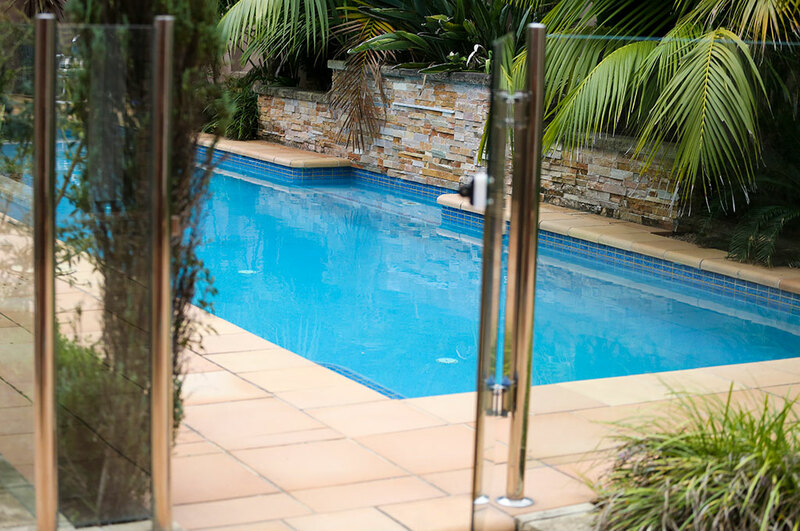 Glass mosaic tiles define the step treads and a natural appearance is achieved with clay-based paving surrounds. 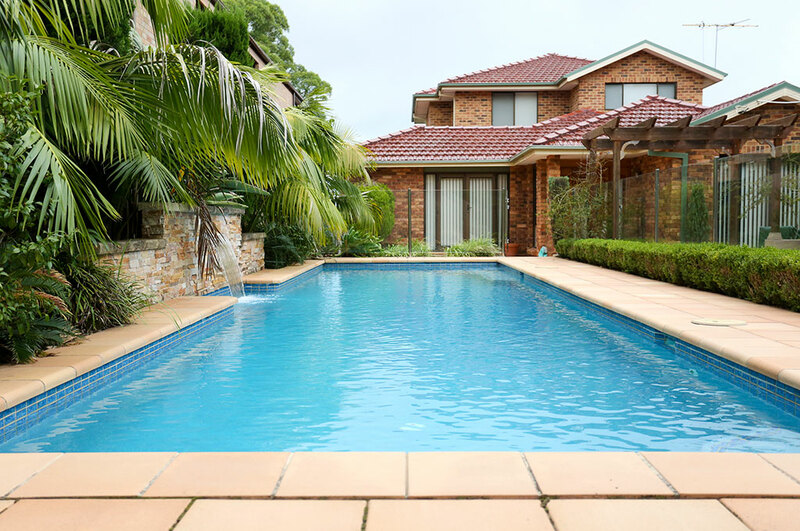 This solar heated pool also utilises a Comflow filtration system that returns all water to the floor, heating from the bottom up and ensuring super-efficient energy usage.